Select Disney Blu-Ray’s Just $9.99! Head over to Best Buy where you can shop select Disney Blu-Ray’s for just $9.99! 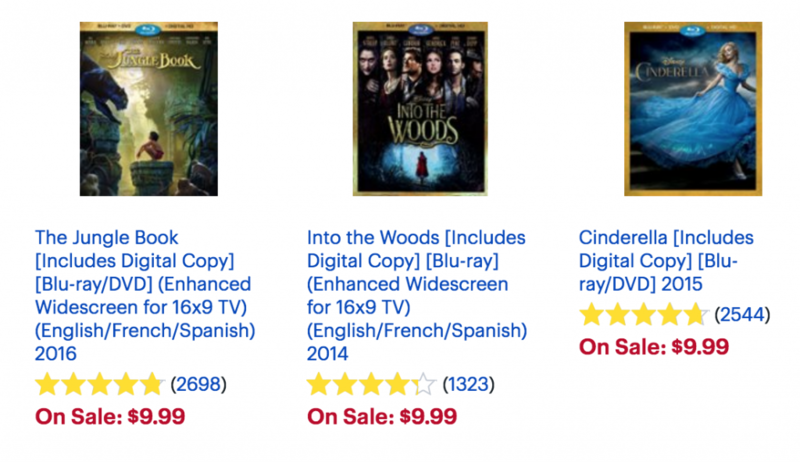 (regularly $14.99) Choose from the Jungle Book, Into the Woods, Cinderella, Alice Through The Looking Glass, The BGF, Pete’s Dragon and more! Plus, all orders will ship free!